This simple salad makes the most of spring and summer’s fresh produce but you can enjoy it year-round by replacing the fresh corn with thawed, frozen corn. The crispy bacon adds a nice crunch but omit it for a vegetarian treat. No fresh herbs on hand? No problem, use a teaspoon of your favorite dried herb instead. If you don’t have fresh corn on hand, thawed, frozen corn will also work. You can replace the tablespoon of fresh herbs with a teaspoon of dried if you don’t have fresh herbs available. 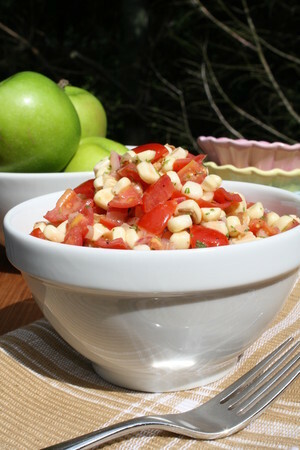 Combine corn, tomatoes, red onion and herbs in a medium bowl.